Purchasing this item will earn you at least 458 GES RewardPoints! The manufacturer oligo is a leader in the field of innovative lighting technology. Technological progress offers limitless light comfort. Even with the application, you benefit from the many years of know-how of experienced lighting manufacturer. 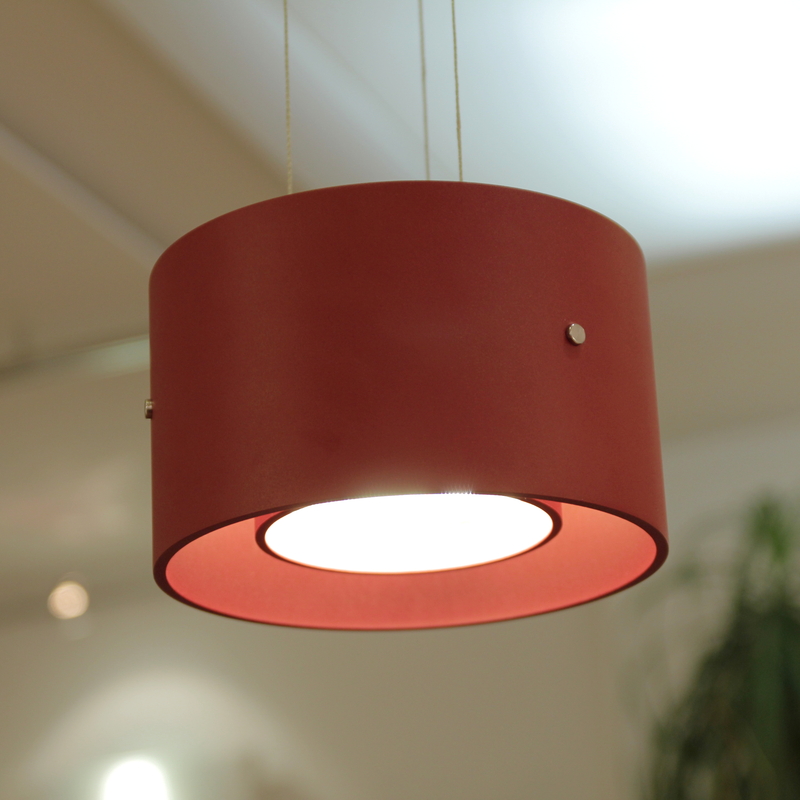 The Trofeo pendant light, you can switch and dim on a fascinating, touchless gesture control. The brightness varies depending on the length of the retention period of your hand. With a short swipe you can turn the light on or off. Intuitively, the result is a spontaneous interaction between you and your lamp. A special memory function ensures that always the last brightness value is saved. The lampshade is available in many different colors. For you personally, the decision is yours to create fresh, colorful accents or to opt for a neutral, muted version. Create a harmonious interaction with the rest of your interior! All variants combines the pleasant lighting effect which is due to the inner screen and the power LED with 3000K (warm white). The LED lamps cannot be changed in the luminaire.